Marvelous Multiagers! 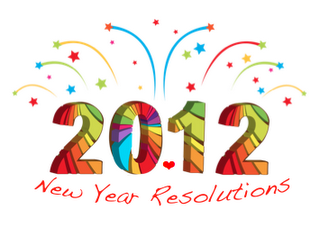 : New Year's Resolutions! Drink more water!! My boyfriend's mom got me a sweet water bottle for Christmas (which is just what I wanted). I hope it encourages me to drink a lot of water. Go to more museums!! I love museums. Now that Matt works at one, we can go to lots of museums in the city for free!!! Go on some kind of trip. I want to go places in my life. Maybe a summer vacay? Revamp my math work stations. The kids love this time of day but it is not a well-oiled machine by any means. When we get back to school, I want to make an expectations anchor chart (which I never made it the first place....) and change out the stations to keep the kids excited and engaged. Grade and return work in a timely fashion!! Start creating my own freebies to share! My students and I have benefited from so many kind and giving teacher bloggers and I want to give back. I only have two sets of clip art though... I think that is an issue. I am SO with you on wanting a clean desk. I lose so many things! And what's the point of a desk calendar if you can't see it? Ugh! I also set a goal of keeping my desk clear (well, at least clearer), and KNOW I should attack the stacks of marking more ... maybe doing the latter will help me with the former ... ??? Thank you so much for linking up! My desk is my catch all too. Organization is a big one for me in 2012.